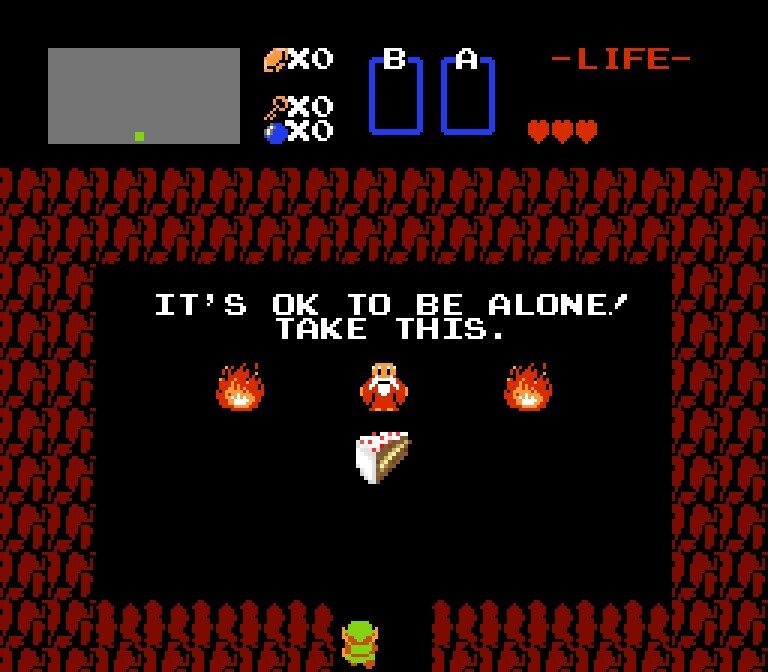 This entry was posted in Ace Images and tagged ace flag, aromantic, asexual, asexuality, cake, forever alone, zelda by asexualityarchive. Bookmark the permalink. By far, my favorite thing on this website, I am a HUGE fan of the legend of Zelda series, and love the references as they come… I am using this image lots.